Steel pipe has wide application and welded steel pipe is one of the popular steel pipe among users. 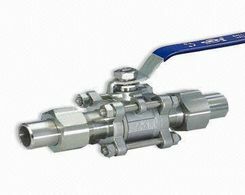 It is available in wide range of sizes and properties of the steel. Now, it is easy to cold form flexible pipe from coils of sheet steel with automated spiral welds. When it comes to issues of steel pipe, we can't help talking about its quality control, testing, joints and protective surface painting actually. Compared with other steel pipes, welded steel pipe is strong, easy to install and it also has high flow capacity, leak resistance. If you are searching for steel pipe with long servicelife, reliability, and versatility and low cost, you surely should pay attention to the welded steel pipe actually. 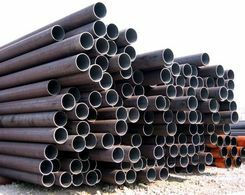 Since 1916, welded steel pipe has been used for transporting water, food, petroleum and chemical materials. There are countless manufacturers of welded steel pipe both at home and abroad. Do you know that, the use of pipe has a long long history. Pipes used for water supply began around 2500 B.C. Since then, the Chinese transported water through bamboo. And in Southern Europe and Near East, the tile pipes were used to supply water for the baths of kings and emperors. Well, the iron age began about 1000 BC. Although no classical historians spend theirm time investigating pipes, a lot of information have been saved, one of which is the History of Steel Water Pipe by Walter H. Cates. Stage 1 United States built the first furnace in 1830 to make wrought iron pipe. And pipe had been used practically since 1858, when steel sheets were shipped to San Francisco for building needs. 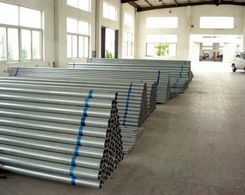 However, the production of the steel pipe was limited since iron was not as sufficient as now caused by undeveloped technology and small requirements. And the pipes were in small diameters and few sizes. Stage 2 Here came the steel age in 1855. Sir Henry Bessemer patented a process for production of steel in England. With the development of steel, especially the development of the open hearth furnace in 1861, inexpensive steel in large quantities seemed possible. Steel made it possible for forming sheets into pipes of different diameter. Stage 3 Lock-bar steel pipe in 30-foot lengths can be regarded as another milestone of welded steel pipe. The two semi-circular pipe halves were joined by inserting the edges of each into two longitudinal lock-bars with an H-shaped cross section. Stage 4 Automatic electric welding also contributes to the development of welded steel pipe. Although electric welding was still new or strange in 1920, it had made great progress during 1930s. The development of welding machines and fluxes also contributed to the development of welded steel pipe actually. Prev:What Are the Properties of Steel Pipe?